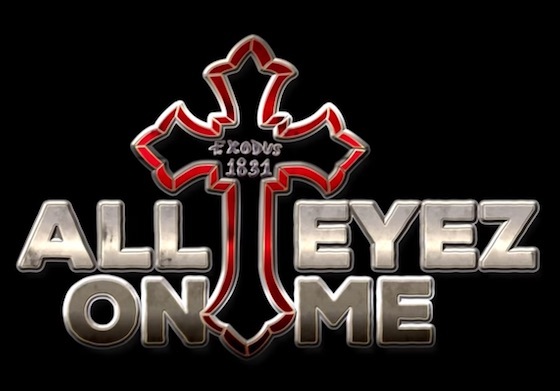 With today (September 13) marking the 20th anniversary of the death of West Coast rap icon Tupac Shakur, a pair of teasers from Benny Boom's forthcoming All Eyez on Me biopic about the late rapper have surfaced. Boom posted the wo teasers on Instagram. The first pulls together film footage of Tupac, played by Demetrius Shipp Jr., talking to crowds about police violence and the dangers of becoming a political icon, making big money with Suge Knight, and popping off a gun after an altercation. The second sneak preview is a high action blur of concert scenes, FBI busts, prison shankings, studio days, family arguments, and his fateful final car ride with Knight. Above this, a haunting voiceover delivered to the in-film Shakur: "I know you are going to survive all of this." An ETA has yet to arrive behind All Eyez on Me, but you can check out the two compelling teasers down below. Shakur was shot several times during a drive-by shooting in Las Vegas, NV, on September 7, 1996. He died from his wounds six days later in hospital.